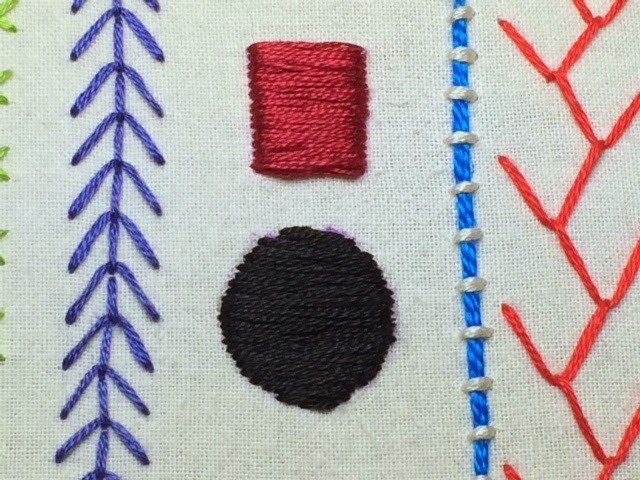 This week was the satin stitch for Take a Stitch Tuesday. 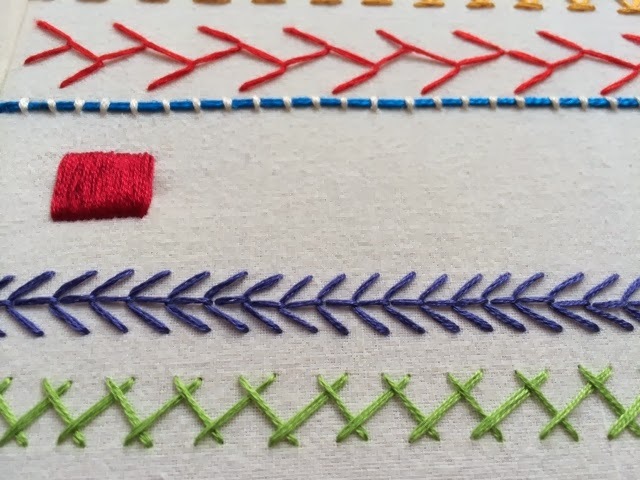 I love satin stitch. I don't think I have completely mastered it but I really enjoy it. 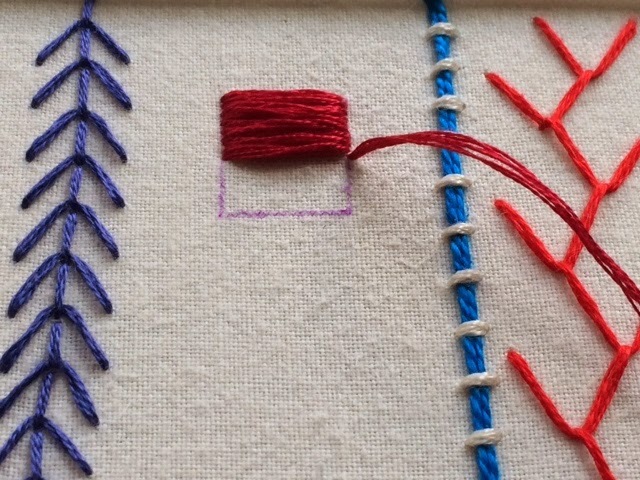 First up I drew a rectangle and filled it it in a reddish color floss. Definitely not my finest satin stitch but good enough. Then I drew a circle and filled it with black floss. I think the most I have ever used the satin stitch was for my first Erro embroidery piece below. 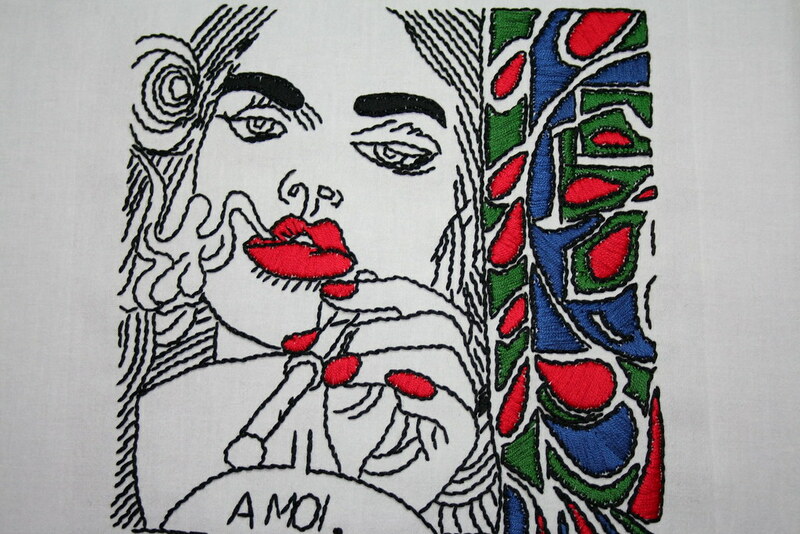 I filled the lips, finger nails, and side design with satin stitch. 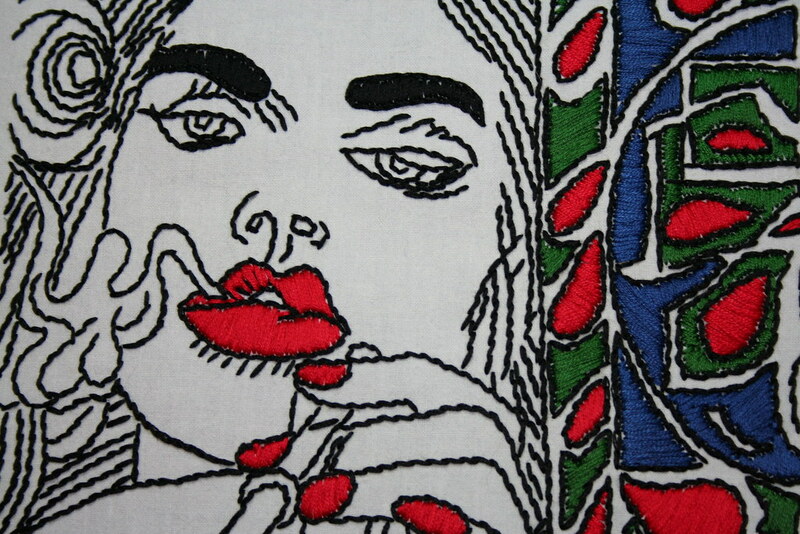 For more photos of all my Erro embroidery girls, you can check them out in my Flickr set here. 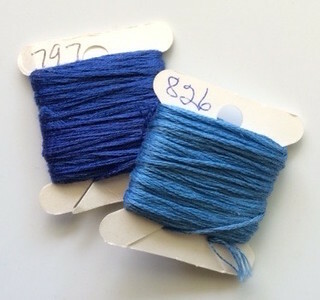 For more information on the Take a Stitch Tuesday challenge, you can check it out here on Pintangle. 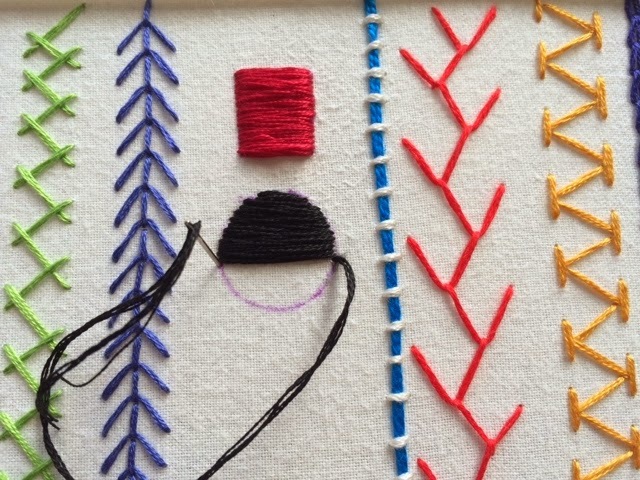 I wanted to say I have been viewing your sampler and enjoying your progress - and send you a wave! 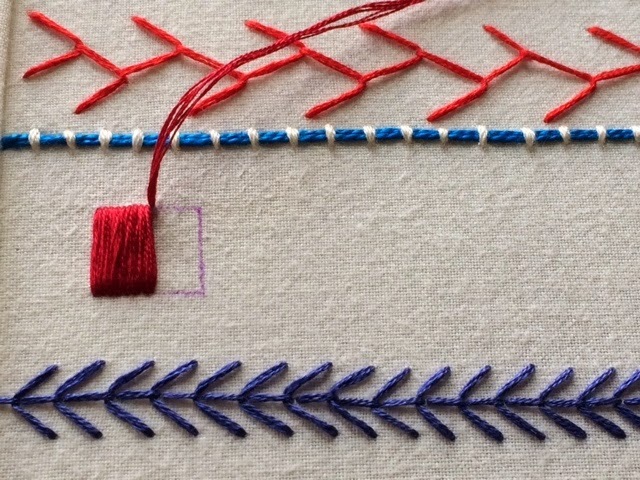 Great use for the Satin stitch!